Reuters yesterday published a very interesting analysis article on the future of solar power in Saudi Arabia. 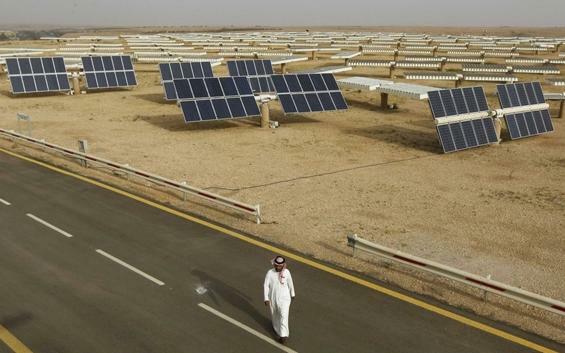 Perfectly located for solar power generation, Saudi Arabia currently has just 12MW of installed solar capacity – less than was installed in the UK in the first half of May, and a long long way behind the 5,000MW of capacity installed in China during 2012. Saudi Arabia is has relatively low natural gas reserves, but vast oil reserves, so Saudi power stations are oil fired power plants which give an efficiency of just 30%. Since oil used in domestic power generation is oil which cannot then be sold on the international market, there are billions of dollars per month of opportunity cost, effectively pricing Saudi electricity generation at a huge 26 cents/KWh. With the price of solar panels falling to US$0.80 per Watt, and assuming installed costs of US$1.50 per Watt for utility-sized solar power plants, solar generation costs would be just 9.6 cents/KWh – less than half the cost of using domestic oil. For these simple economic reasons, the Saudis plan to install 5,000MW of solar over the next 5 years, and 41,000MW over the next 20 years which will give them billions of additional barrels of oil to sell on the international market.